There seems little doubt that Anglican services were conducted locally as many of the United Empire Loyalists who settled around this area were of that faith, including the Rogers, Peters, Spilburys, Goslees and others. The first date on record is 1833, when the Rev. John Grier reported to the Bishop for Murray, Cramahe, Percy, Seymour, Ameliasburg and Hillier: “Service is held in St. John’s Church, Carrying Place, Murray (township), every Sunday and at Trent, Colborne and Ameliasburg. 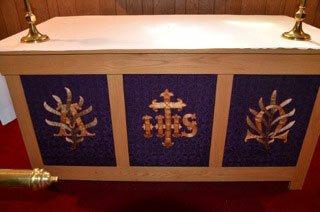 The Sacrament of the Lord’s Supper is administered four times a year”. 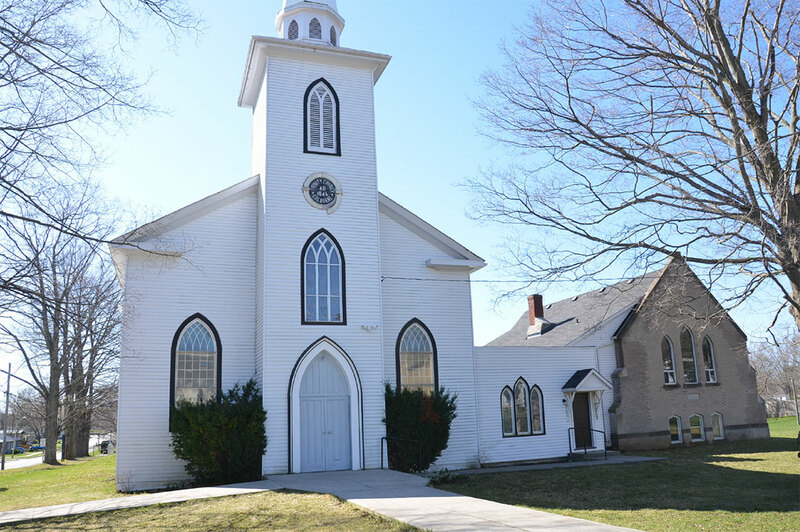 The visits of these travelling missionaries stirred up the enthusiasm of the Anglicans of Colborne and on December 16th 1843, the site for a new church was gifted by J.P. Goslee, who also donated the lumber to build the church. The church was officially opened by the Bishop of Toronto (Strachan) on August 31st, 1846. 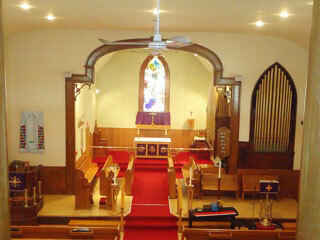 Trinity Anglican Church represents an architectural style that is typical of church buildings of that period. It is of frame construction, rectangular, with a square tower topped by a short steeple. The chancel was added some years after the main building was erected and the grey-brick parish hall was added in 1910. 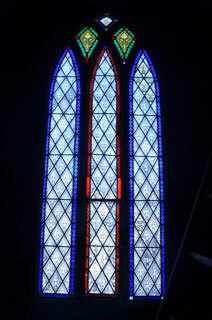 Trinity is noted for its seven beautiful stained-glass windows. There is a stenciled Gothic window above the main door. 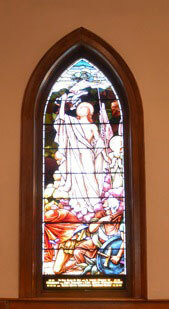 In the hallway between the parish hall and the church building is a stained- glass window from St. Peter’s Church, Lakeport, Ontario, which was deconsecrated in 1968 and later demolished. Trinity Anglican Church is also the proud custodian of a 19th century Williams Tracker organ, purportedly one of only two remaining in North America, was purchased in 1892. 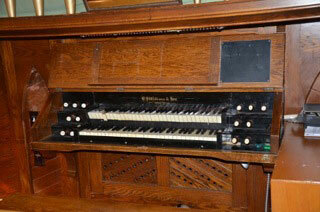 A complete restoration of the organ was done in 1968 under the direction of Casavant Freres Ltd of Montreal.